Confession: I just LOVE Halloween and Christmas at Disney. I’m always amazed by all the special touches that are only present in the parks during the fall months. There’s the pumpkin decorations at the parks, trick-or-treating around Magic Kingdom, and meeting characters in their Halloween costumes. Then there’s also the larger-than-life Christmas trees, snow falling on Main Street, and of course, Santa Claus for the holidays. Bottom line: there’s nothing quite like Halloween or Christmas at Disney World. Disney has announced the return of the Hocus Pocus Villain Spelltacular stage show, which takes place in front of Cinderella Castle and stars Winnie, Mary & Sarah Sanderson from the Disney film Hocus Pocus. Also returning is Mickey’s Boo-To-You Halloween Parade and Happy HalloWishes, a special parade and fireworks show reserved only for party guests. HalloWishes is at the top of my list when it comes to fireworks shows at Disney, so if you have not seen it before, make sure to add it to your Disney bucket list. 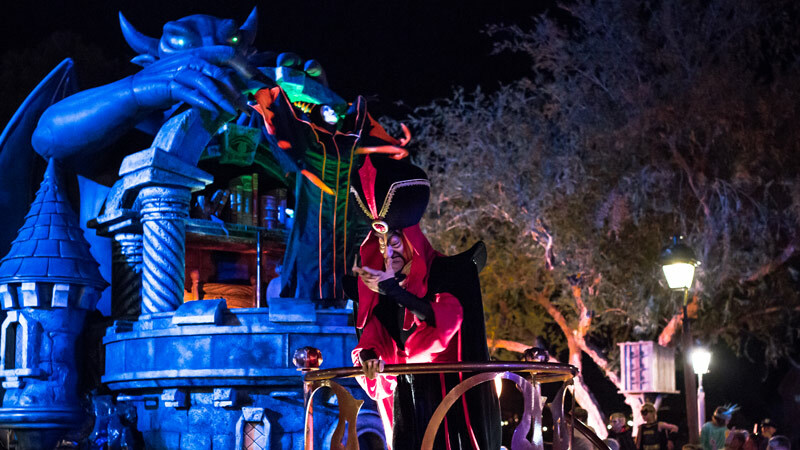 Make sure that you also check out an entire section that we have dedicated to Mickey’s Not-So-Scary Halloween Party so you have all the expert information, tips & tricks for this year’s big event. We will also provide you with the latest information for 2017 as we get more announcements from Disney. For the holidays, Disney has announced the return of Mickey’s Once Upon A Christmastime Parade, the fireworks spectacular Holiday Wishes, and the stage show Mickey’s Most Merriest Celebration, which will be shown at the Cinderella Castle Forecourt Stage. And to illuminate the castle in dazzling fashion, we will also see the return of A Frozen Holiday Wish, a stage show featuring Olaf, Kristoff, Anna and Elsa that sets up the lighting of Cinderella Castle. While tickets to these events are not yet available, they will be shortly. Disney expects tickets to go on sale in early May – keep checking here with us at Guide2WDW and we will be sure to announce when they are available for purchase. With that I will turn it over to you. Have you ever been to Mickey’s Not-So-Scary Halloween Party or Mickey’s Very Merry Christmas Party? It’s a great time to start planning a trip to Walt Disney World and see these wonderful events for yourself! Contact me at (920) 526-0809 or myra@worldofmagictravel.com to get a free quote!